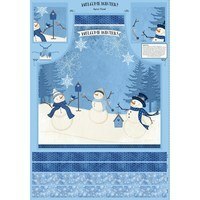 Oh let it snow, let it snow with this Springs Creative Winter Snowman with Reindeer Fabric Panel. 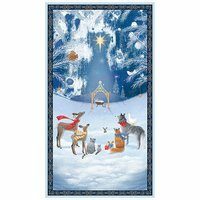 Featuring a snowman surrounded by birds, rabbits, and a reindeer this panel would make an excellent centerpiece in a quilt or as a wall hanging. 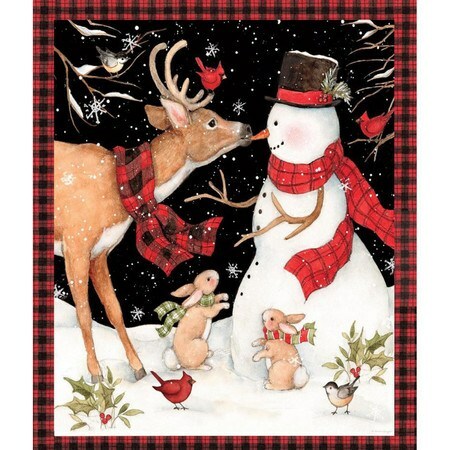 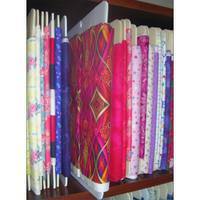 Susan Winget designed this 100% cotton fabric panel. 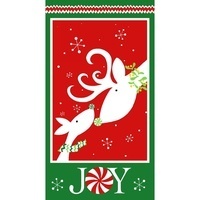 Panel measures 36" wide by 44" tall.